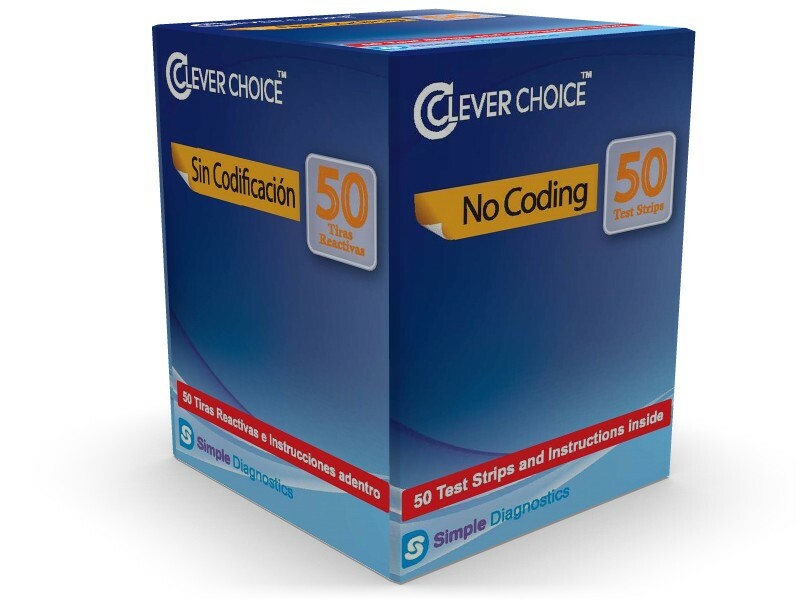 Click the button below to add the Clever Choice Auto-Code Voice Plus 600 Test Strips For GLucose Care to your wish list. 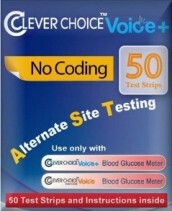 The Clever Choice Auto-Code Voice Blood Glucose Test Strips are designed to be used with the Clever Choice Auto-Code Voice Meter. These sip-in-action test strips feature alternate site testing. Only 7 ul of blood is required for testing. Pack of 1 Boxes of 50 each. Ref # TD-4243. The Clever Choice Auto-Code Voice by Simple Diagnostics speaks to you in both english and spanish. This blood glucose monitoring system requires NO CODING. Only 0.7 ul of blood is required for testing and results are given within 7 seconds.